hey, remember that time i used to cook all the time? like, when i had my own flat, and a boyfriend to cook for, and back when "dinner" was more than just a microwave meal or ramen for the nine hundredth night in a row? no, me either; it's been a while. but there was a time where i used to cook a bit, be a bit of a "trier", always accepting a foodtacular challenge. 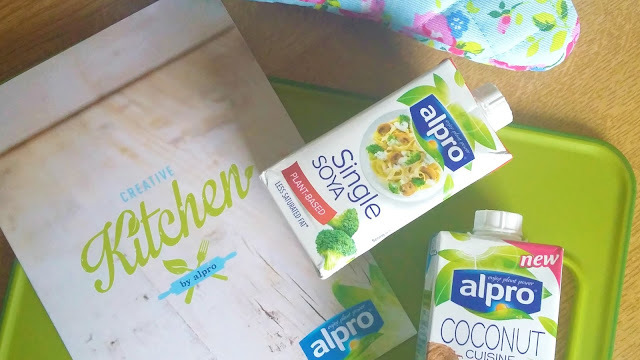 these days, less so, but when alpro got in touch to let me know about their newest addition to their range of plant-based alternatives to cooking "creams", well, i thought it was time to try again. 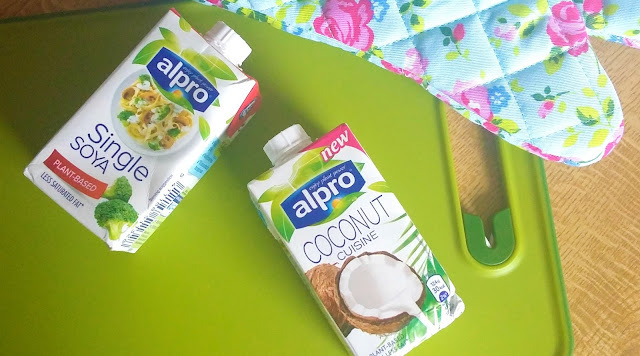 whether it's desserts, pasta sauces, or asian dishes being whipped up with a cooking cream, alpro now have it covered in the dairy-free kitchens around the uk in their range of healthy alternatives for all of the tasty dishes. each of the products is completely plant based, meaning no chemical nasties or belly-aching worries to concern yourself with, plus they're totally healthy too - less than nine grams of fat (per 100ml) means you can eat all the food and not worry about having dessert too... right? 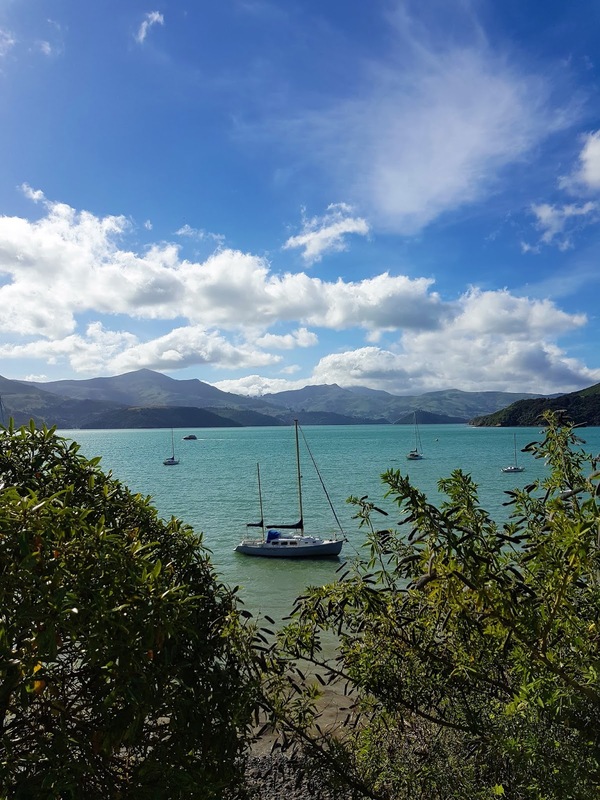 the newest addition to the range is the coconut cuisine, and so to the kitchen i went, inspired to attempt something akin to a curry - a coconut courgette thai curry to be precise. and wouldn't you believe it, it was bloody deliciious. and wouldn't you believe something else, i literally took no acceptable photos of my dish. why? because: terrible food blogger. why else? because: so determined to not stuff up the recipe, that my focus was entirely on that (and snapchatting the whole thing, uhm yeah) and not taking photos. never the less, this is the recipe i used, and i will attest to it being really, ~really tasty. having never tried the product before it's hard to know how it matches up to another coconut cream or milk, but there was nothing particularly after-tasty about it (my fave way to describe soya milk is "after-tasty"), so in my book, it was a top alternative to other less-healthy options. another of the products i tried was the soya single "cream", which i used as a real-cream replacement in a bog-standard tomato and cream sauce pasta dish that i completely made up as i went along. i did take photos this time, but in my dingy kitchen, at night, in the middle of an eclipse (part of this is a lie), so they turned out worse than the imaginary ones from the curry. sorry about that. the soya single had that after-tasty thing going on, so more noticeable than the coconut cuisine, but still as tasty. 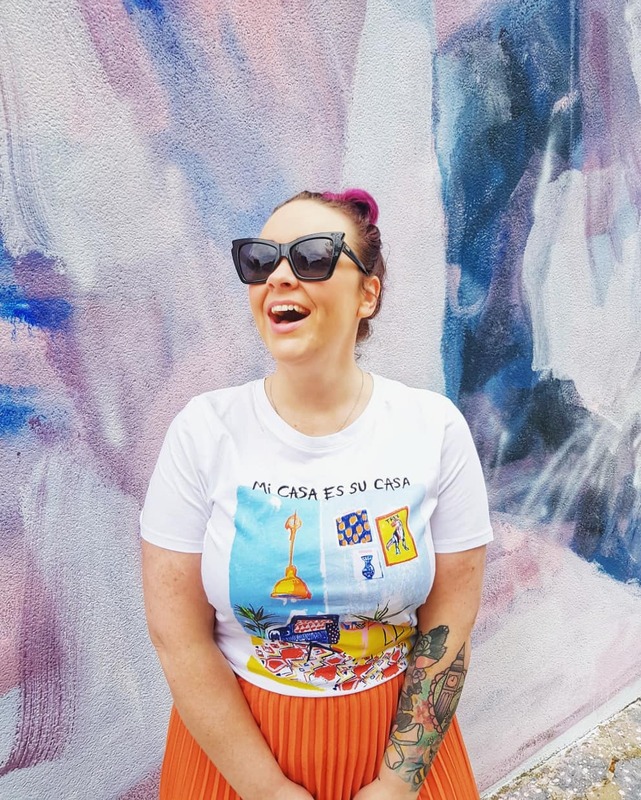 plus, no belly woes, and that's the clincher really, isn't it? so, erm, thanks to alpro for getting me back in the kitchen for a couple of nights, but... let's hope it's a few months between challenges eh? there's way too many dishes to do after cooking these sorts of meals, and when you're the only one doing the cooking ~and cleaning, well... the full belly doesn't feel so happy when there's chores to be done. the range is available in most supermarkets now, i'd love to hear what you've tried?